RAPAPORT... The Israel Diamond Exchange (IDE) plans to reveal two new cryptocurrencies created specifically for the diamond industry by startup CARATS.IO, the exchange said Monday. CARATS.IO will host a seminar during the International Diamond Week in Israel (IDWI), taking place February 5 to 7, to introduce the new cryptocurrencies and explain how they can benefit the trade. One of the new coins, CUT (Carat Utility Token), will allow safe peer-to-peer transactions among diamond traders without financial intermediary assistance, according to Avishai Shoushan, founder and CEO of CARAT IO. The second, CARAT, will “open the diamond industry to a huge, largely untapped market of financial institutions and cryptocurrency investors,” Shoushan added. Both cryptocurrencies will be backed by diamonds purchased through the IDE. 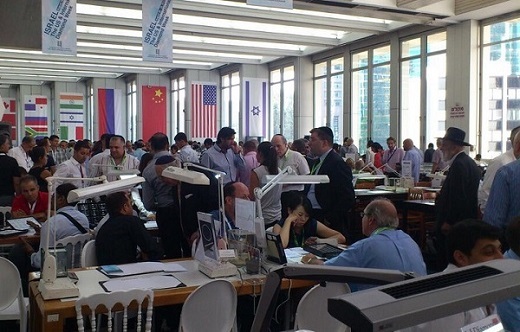 Last year’s IDWI featured around 400 buyers from more than 30 countries, as well as 200 exhibitors. At that time Dvash announced the IDE’s intention to advance its technological capabilities throughout the year.